Happy June!! 6 months into 2015. Someone please tell me how that's possible?! I feel like I say that every month but really! Time is flying!! After a few month of crazy, I'm finally settling into a new routine at home as a post-grad. I crave a good routine. And to be honest the last few weeks have had no structure to the days whatsoever. Owning it. So this month, I'm resetting. Getting back to the roots. Doing it for me. Focusing on what matters most. 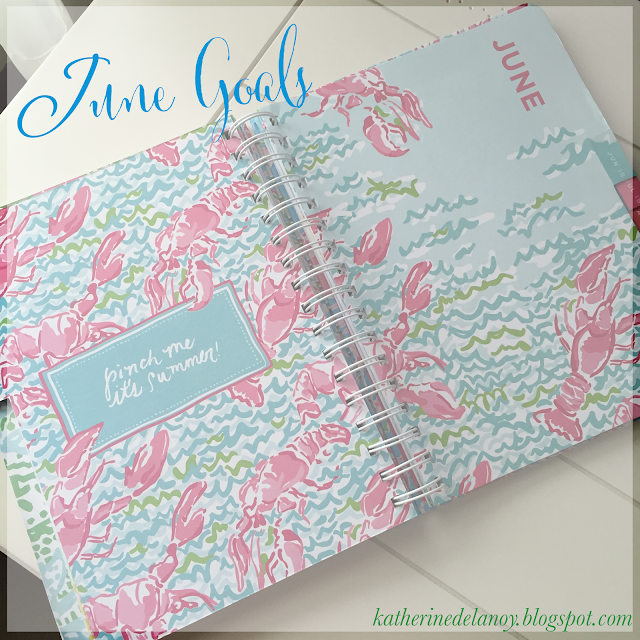 Ever feel like you need a new month as a fresh start to just dive back into something? June is going to be that for me. It's going to be a hectic month with nannying but I hope and pray I get back to the girl I "lost" in the last few months of fun. Post coming soon of recent happenings! Next week I start nannying full time. Which will be fabulous and so much fun but very hectic. These kids are ACTIVE! Don't let it fool you because I love it. I mat also be bias because they're family- but it's the best job. #familytimeallthetime. You are going to have a great month! I'm all about the beach trips this month too! :) I can't wait to hear what you think of bulletproof coffee. I tried it for the first time recently. It was different than I expected...but in a good way! I love your goals for the month! A great mix of fun but still getting stuff done :) I really need to get on a steady bible study plan... are you liking this one? Okay, LOVING all these goals!!! You sound so happy, so positive, and so like you're just embracing life!!!!! Nannying is definitely not a job for the faint of heart, but you're right- so fun!! !